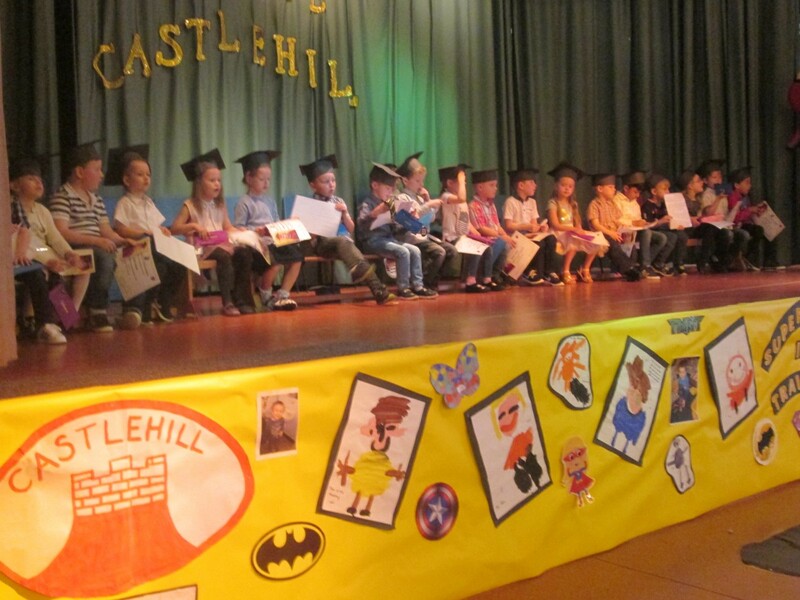 Today the whole school went on Castlehill’s final outing together! We all went to the Five Sisters Zoo. We saw lots of animals, played in the park, ate ice cream, held some little critters, laughed at Mrs Black running and hiding from a chicken…….. We had an awesome time! 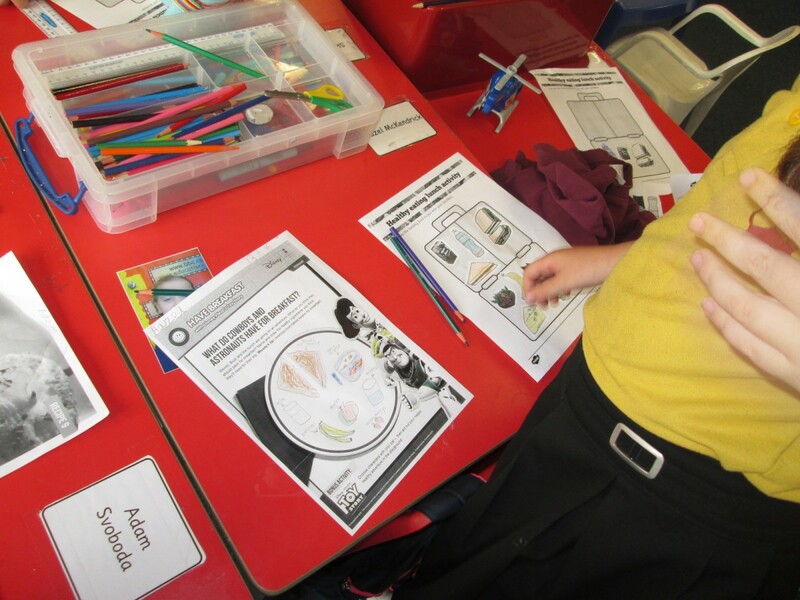 In science we have been learning about the life cycle of a broad bean. firstly we placed three broad beans in a bag with cotton wool and taped the bags on the window. Then we left them for four weeks and made sure we watered the every two days. We kept a record on how much they grew each week. After that we re-planted them into small tubs then gave them fresh water and soil. 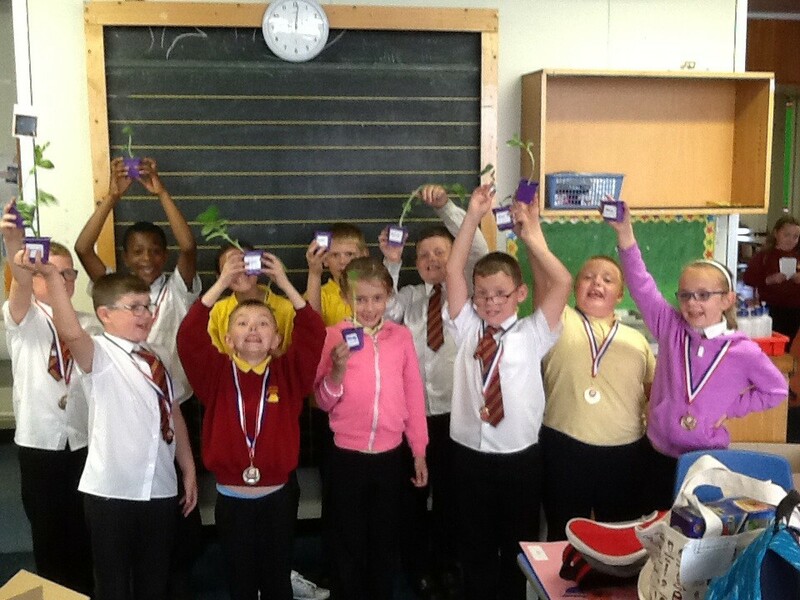 Final today we get a chance to take them home and plant them I our gardens and see how much more they grow. Now we can’t wait to see how the taste! 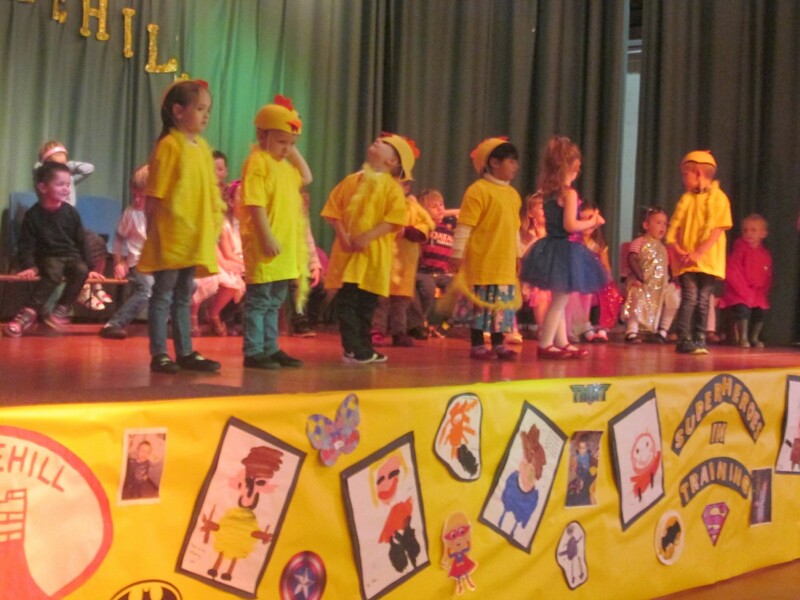 All family and friends are welcome to join the staff and pupils at 11.00am in the school hall for the final assembly. It will be made up of the P6/7 assembly on Australia and then the Leavers’ Assembly. It will be an opportunity to say goodbye to staff moving on to ‘pastures new’ and to enjoy the community atmosphere of our wee school. This event will take us ‘One More Step’ closer to our school’s closing day. Hope to welcome you tomorrow! Don’t forget to come along to our Fun Day tomorrow Thursday 23rd June. Daffydill will be entertaining us with a magic show and puppets. There will be a bouncy castle and lots of lovely things to eat. Looking forward to seeing all our nursery children tomorrow! We started off with the ‘Happy dance’. Jumping up and down in muddy puddles. Our favourite! We are chickens! 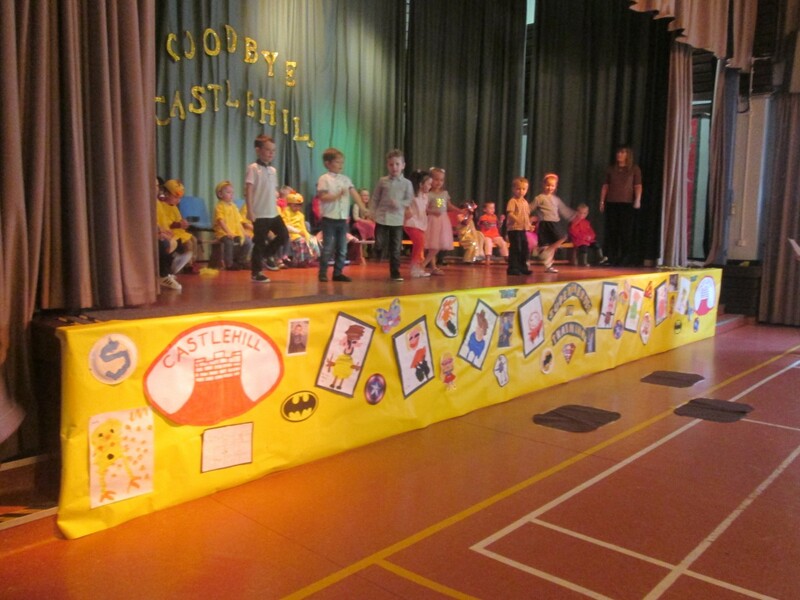 There were mixed emotions as we performed our last graduation show at Castlehill. 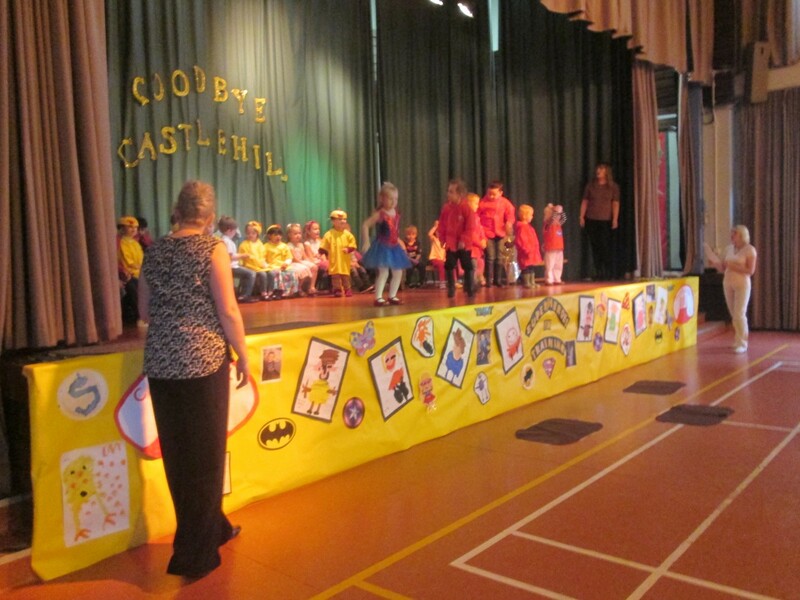 We a sad farewell to Head teacher Mrs Milligan and our Janitor Ronnie. 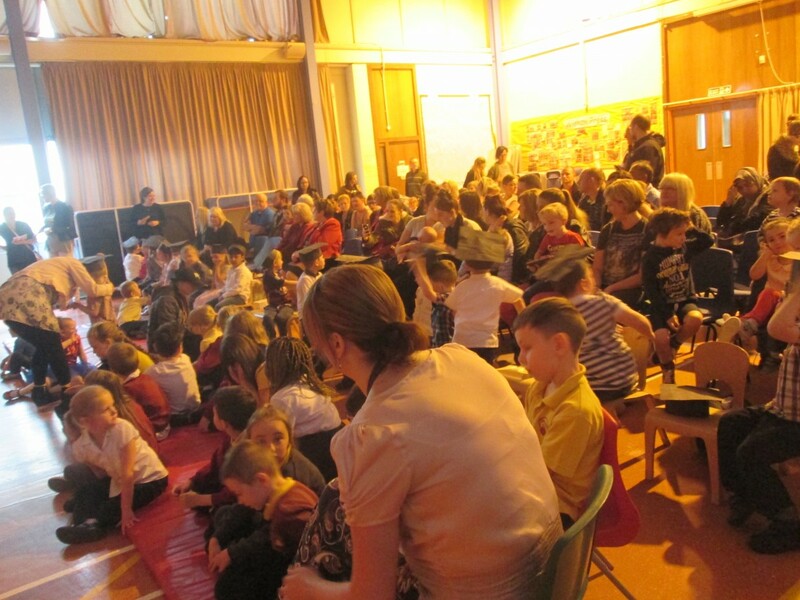 But it was a joy to see our fabulous children perform their hearts out and hear the positive response from the audience who cheered in all the right places! Here are the top scorers on the leaderboards for our Get Active challenges. Here they are trying out their prizes. We went on an outing to McDonalds. We were able to put into practice a variety of skills and knowledge we had learned throughout the year. We caught the bus and travelled to Wishaw. We had to be aware of where we were so we got off at the right stop. We went to the shop and bought some snacks to take back to school before going to McDonalds for lunch. We used our learned social skills and financial knowledge to order and pay for our lunch. We walked back safely to school, via the park to work off our Happy Meal on the exercise equipment. 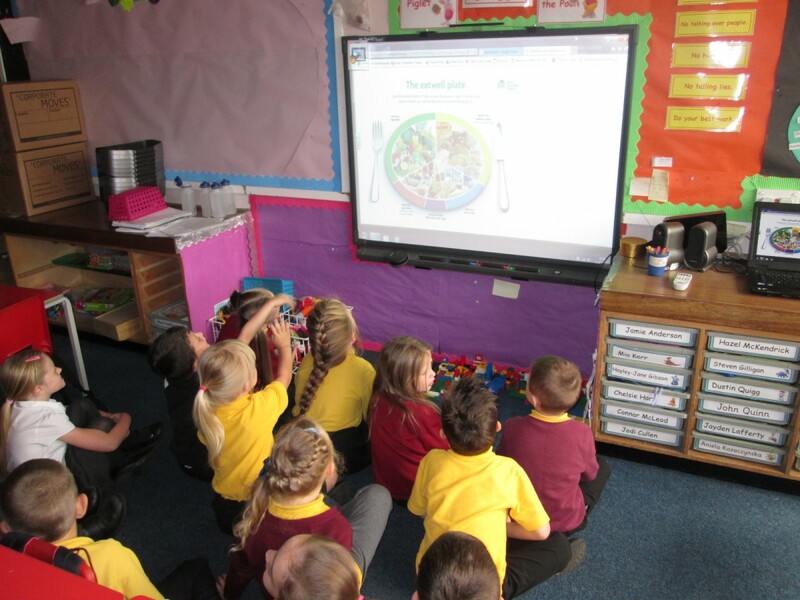 On Friday we had an assembly, led by the senior members of our Health Committee, to celebrate all the work we had done during the British Nutrition Foundation Healthy Eating Week. 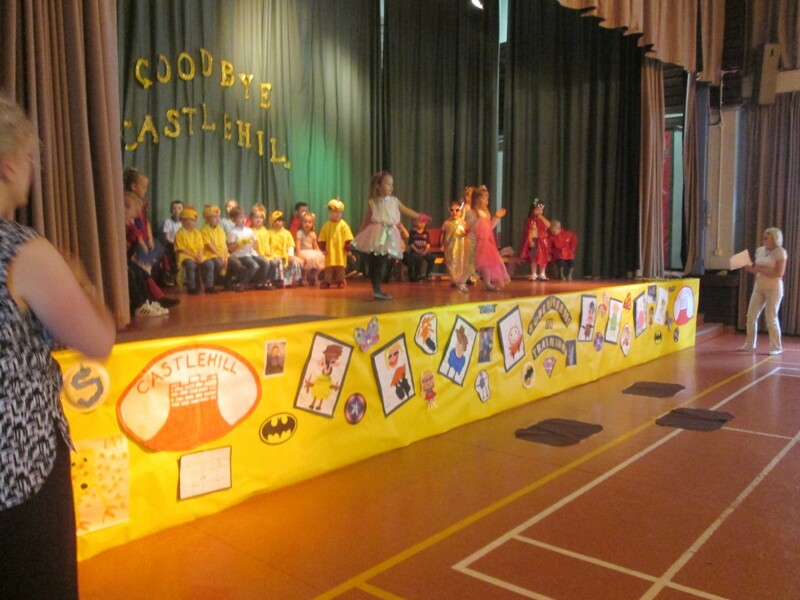 Each class had the opportunity to share their learning, their activities and their thoughts on the week. 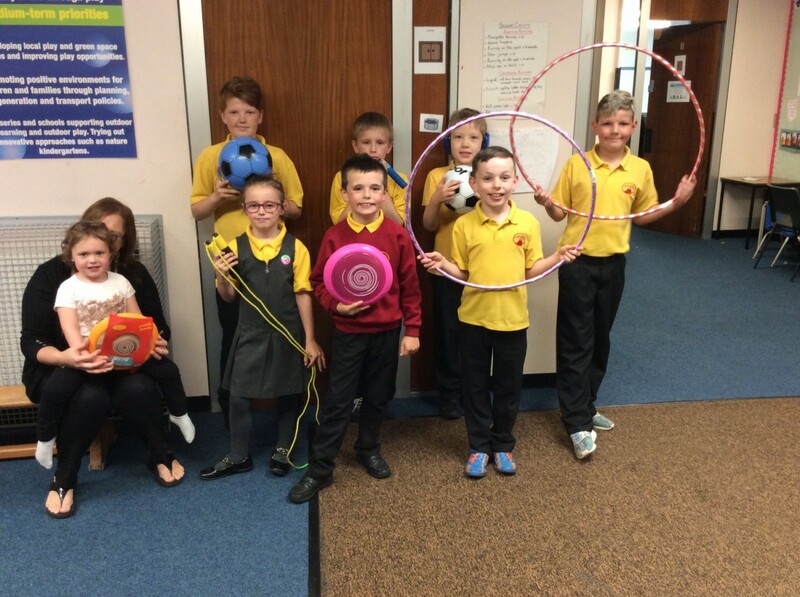 We also awarded prizes for the highest scorers on the leaderboard for the challenges we set on our Get Active Day. Well done to the winners! 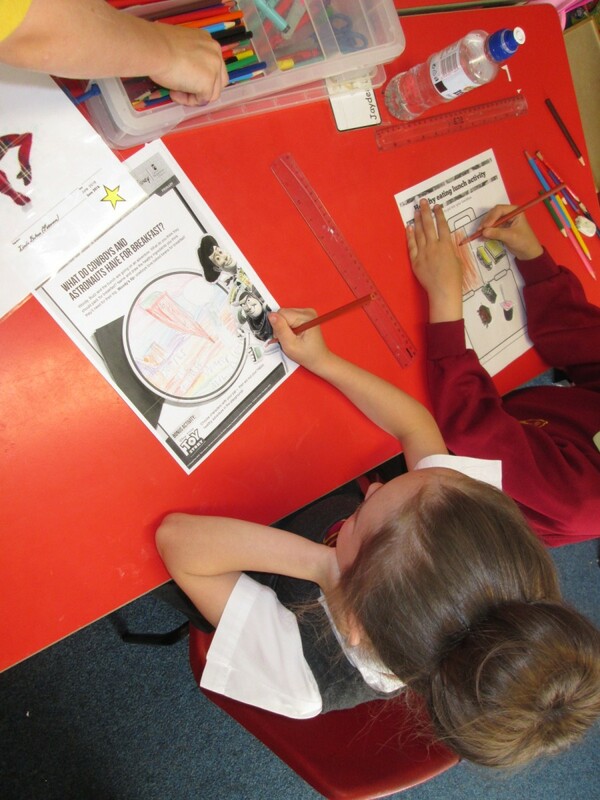 This week we have participated in a variety of activities to help us meet the BNF Healthy Eating Week challenges. On Monday, we had a delicious fruit eating session with the AM Nursery children. There were lots of yummy fruits on offer and we were spoiled for choice. 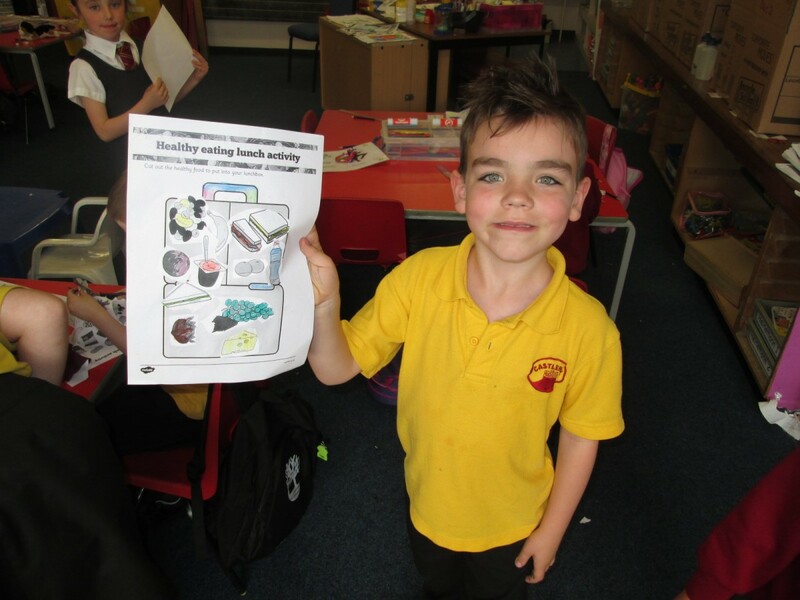 Over the course of the week, we completed tasks where we had to design a healthy breakfast, healthy lunch box and learn about the Eatwell Plate. 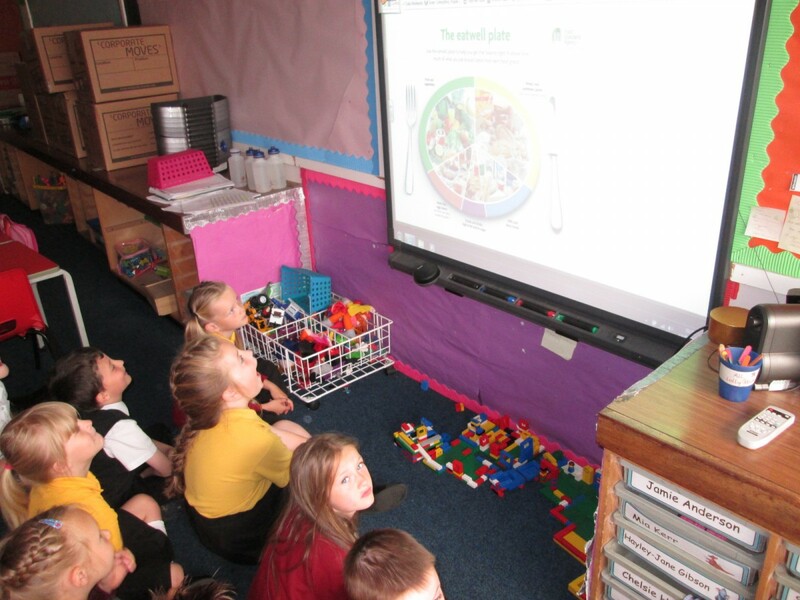 P.1/2/3 are very good at selecting healthy foods as you’ll see from the photos below. We took advantage of the good weather and visited the park for the ’60 minutes of exercise’ challenge. We had a brilliant time and were very active. On Wednesday morning the Nursery children joined us again, this time for a smoothie tasting session. We all thoroughly enjoyed the tasty options on offer and went back for seconds later on in the day. 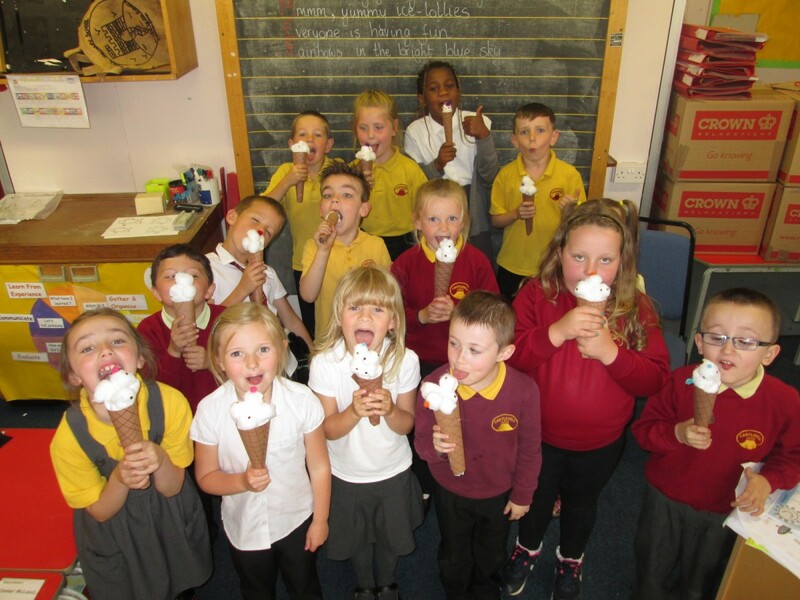 And, finally we had healthy ice creams……..
…….only kidding, we made these fantastic ice creams using craft materials. 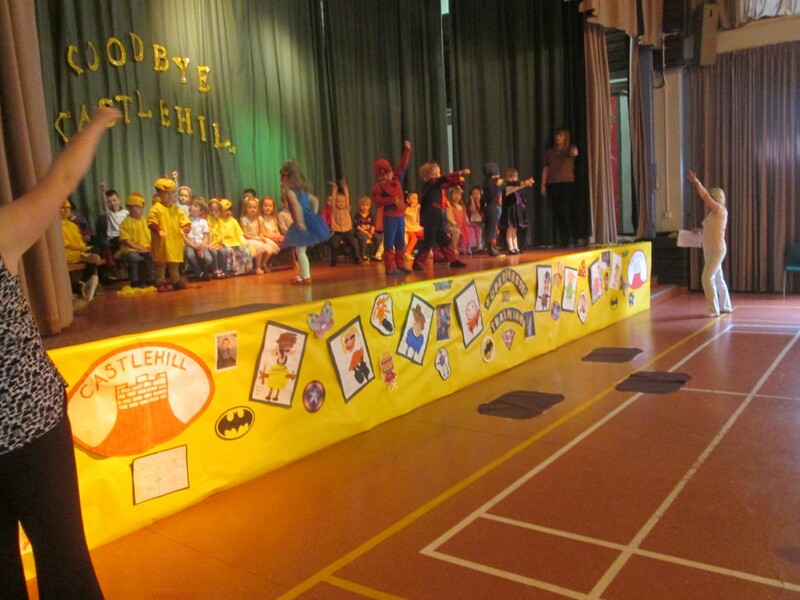 What a super week we have had! Amy on Our last ever trip! James Falconer on We have butterflies! lyndsay on We have butterflies!